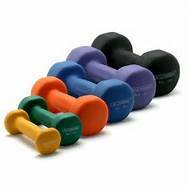 Illustration: Place hand weights (dumbbells) of various sizes on a table. Allow participants to pick them up and gauge the heaviest they can lift. Now imagine all these weight connected at the ends, draped over your shoulder and trailing about three feet behind you when you walk. This is how many people live — weighed down by the cares of this world. This is the reason for a “Casting Prayer” meeting, to cast the weight onto the Lord. The Lord led me to conduct this kind of prayer meeting recently and it was a powerful lesson learned. Here are the six prayer focuses. #1: Cast off snares — Mark 9:45 — Cast onto the Lord the weight of your offending part. #2: Cast your life into God’s treasury — Luke 21:1-4 — Be all in! No more straddling. No more halting between two opinions. But invest all of who you are to the Father. Give Him your ALL. #3: Cast down the stones you might throw at another — John 8:7 — Cast off the weight of unrighteous judgment by actions and intent. Cast down the stones you’re tempted to throw at another. #4: Cast (& keep casting) down imaginations — 2 Corinthians 10:5 — Cast the weight of your own mind onto the Lord. Cast reasonings and human logic. #5: Cast your cares — 1 Peter 5:7 — Receive the Lord’s attentions and care. He can handle the weight of anxiety. …casting all your anxiety on Him, because He cares for you. #6: Cast your fear & terror — 1 John 4:18 — Allow God’s perfect love to complete what’s lacking in your life. Receive His love and let go of fear and terror. Remember to send the victory report of answered prayer when you use this format. Selah, and love to all!